If you want to enhance the overall appearance of your smile, there are many options in cosmetic dentistry to consider. Some may brighten the color of your smile, others may improve the structure and appearance of the tooth, and others can address additional issues relevant to your appearance and your dental health. When you meet with us, we will be able to determine what the best option is for you and your smile. One option that is quite popular is veneers. 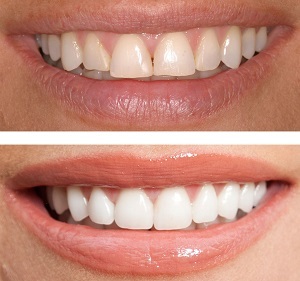 Veneers are thin pieces of porcelain or plastic cemented over the front of your teeth to change their color or shape. Even though porcelain veneers are quite strong, they are also very thin. The placement of a veneer requires only a small amount of enamel to be removed from your teeth, so the veneer can be placed over your tooth. A primary benefit of porcelain veneers is the retention of natural tooth. A veneer gently conceals the flaws of your teeth without removing much of the tooth structure. The veneer simply improves tooth appearance without detracting from function. You may be wondering if veneers are right for you. That’s something we can’t determine online, so it’s important that you come to our practice for a consultation. To learn more about how you can enhance and beautify your smile, contact us today. We look forward to meeting with you.